Power and battery life. The best of both worlds, right? 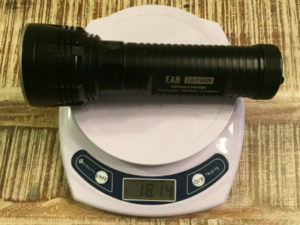 The lumens and distance this bad boy throws on Turbo mode is ridiculous at 900 Lumens. When you do not as much power, you press the one button on the entire flashlight to toggle to a lower setting for longer battery life- lasting a whopping 800 hours at the lowest setting! 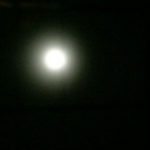 That is a month of juice from a flashlight on 8 AAs! The aluminum uni-body housing makes it lightweight and pretty tough for it's weight. 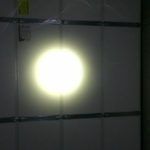 It tests a 1.5 meter impact and 2 meter water resistance. 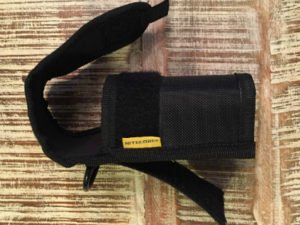 The sheath has a D-ring and molle velcro attachment for many ways to carry it, not just on your belt. 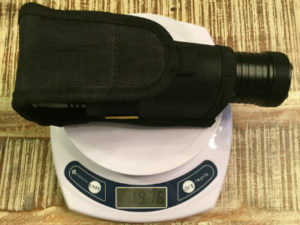 The flashlight has a hole on the end cap for a wrist lanyard but you can still stand it on the end cap and it is very stable. Not pictured in the settings above include the Turbo Setting (900 Lumens for 2 hours), Strobe Mode, SOS Mode, and Location Beacon. 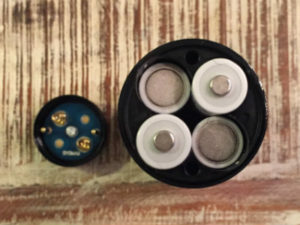 A blue light in the button on the flashlight acts as the location beacon, and the remaining charge left in the batteries. 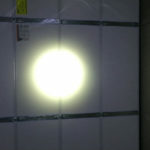 It also illuminates to show a low voltage warning. The two-stage button also lets you operate the flashlight without fully pressing the button down, allowing quick operation. Have you ever had to work on a European car? Those things can be a huge pain to do even the simplest maintenance on. Over-engineered with little regard for the mechanic. That is how this flashlight feels for the basic user. 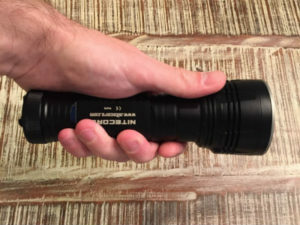 While the flashlight has a steep initial learning curve, it does come through with the functionality once you learn how it works. Another downside to the Caveman is that apparently a few people have problems with overheating and battery leakage. 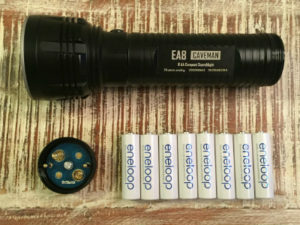 I did not personally see this during my testing and can not confirm any of this, but it does give me pause if this was the flashlight I needed to use in an emergency. 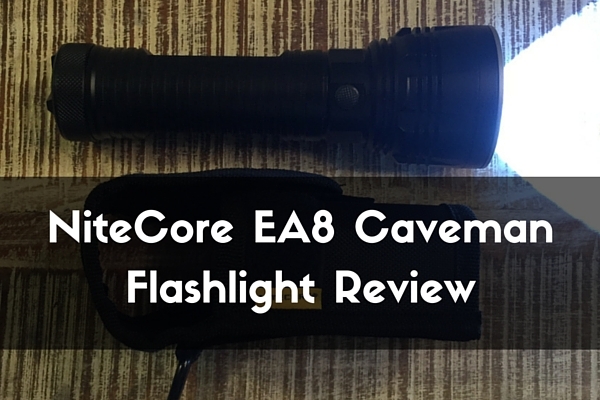 A few others have complained about button failure, but NiteCore has a good warranty policy. 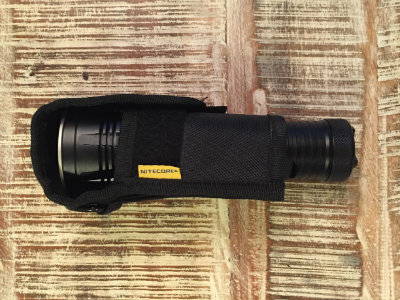 The Caveman is a versatile, powerful, and long lasting flashlight that is built tough with only a few flaws. 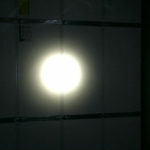 The CREE XM-L U2 LED is a powerhouse of an illuminator and, combined with the precision reflective cone, it has reach too. 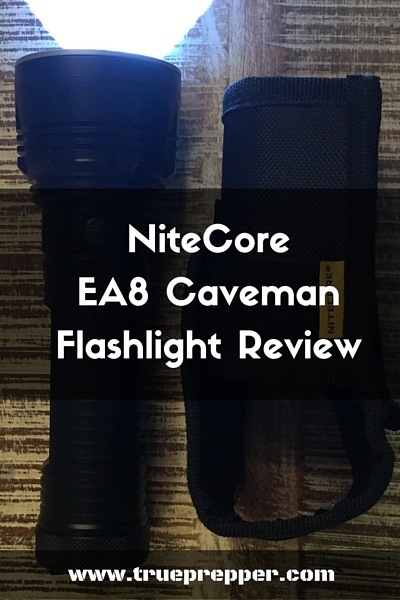 At TruePrepper we recommend the NiteCore Caveman flashlight as a great addition to a Bug Out Bag or Disaster Kit. 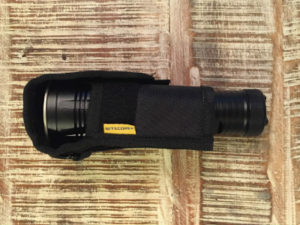 It's versatility makes it useful for a variety of situations, and a great every day flashlight.